Do you have a legal document or a visa application that you want to be translated by NAATI certified Japanese translation services? Our team consists of Japanese NAATI translators that can translate your documents from English to Japanese or Japanese to English with 100% accuracy. When choosing a Japanese translation service, we always highly recommend working exclusively with NAATI certified Japanese translators. To get a FREE quote of our Japanese translation services, just complete the enquiry form located on this page. Attach a scanned copy of your documents, and we’ll send you a firm quote within 15 minutes. If you are in a hurry, why not try our Express and Instant Japanese Translation services? Simply fill in our form; let us know your deadline, and we’ll surely deliver. Our Japanese translation services can be used for document translations where Japanese NAATI translations are required. We pride ourselves in producing translated documents that are 100% accepted by authorities who require Japanese NAATI translated texts. Our Japanese NAATI translators provide error-free, accurate and NAATI certified document translations. The best part? We provide online service that’s easy to use. All you have to do is fill in the enquiry form, upload your documents, and you’ll get your complete translations in no time! We’ll even send you one certified hard copy via Regular or Express Post Delivery. The Japanese Language has similarities with Mongolian and Korean, but it is not related to Chinese. Most English speakers have a hard time learning the language because of the way it is spoken. It is mostly due to the complexity of the written script. Chinese characters, Kanji, are integrated into the Japanese Language’s written text. Several linguists agree that it takes twice as long to say something in Japanese than its English counterpart. The Japanese language has no gender, articles, plurality, verb conjunction and it has a very flexible syntax. All of these make Japanese an easy language to learn. 1. Complete the enquiry form, on this page to get a FREE quote. 2. Attach a photo or scan of your document. 3. Our Japanese specialists will assess your document and send you a firm quote within 15 minutes. 4. Complete your payment via credit card, Paypal or bank transfer. 5. Once payment is received, we will start translating your document. 6. We will email you a draft translation for your review and approval. 7. If the draft is approved, we will send you the final translation via email and send you a hard copy via Post. Now, all of these steps can be done in the comfort of your own home. You don’t even need to come to our office personally. How much are your Japanese translation services? OPAL Translation has the most affordable Japanese translation services in Australia, with rates starting at $69.00 only. However, our prices vary depending on the language, availability, and schedule when requesting a quote. Get an exact price and request a free quote. You’ll receive our detailed estimate via email within 15 minutes. We translate documents used for immigration purposes which are deemed as ‘standard documents’ at a flate rate per document. Please note that the pricing below is indicative only. Prices vary depending on schedule, availability and language. Get an exact price by sending us scanned copies of your documents via our Enquiry Form for our Japanese translator service. ‘Non-standard’ document translations are priced at a per 100 word rate. The pricing below is for indicative purposes only and can vary. For a quote, please complete the enquiry form and attach your documents. We will gladly provide you with a firm quote. 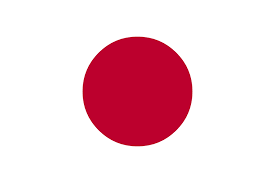 The Japanese language is the national and official language in Japan. The Japanese language, also known as Nihongo in Japan, has over 127 million speakers. Most of which are found in Japan. It is currently ranked as the 9th most commonly used language in the world. Aside from the Ryukyuan language as its relative language, there are no known origins of the Japanese language. Despite sharing a few similarities with the Korean language and Austronesian languages, there is no evidence that Japanese is related to these languages. Japanese has a heavy influence from the Chinese language because of more than 1500 years of language and cultural contact. The kana and kanji characters used in the Japanese writing system comes from the Chinese language. Japanese is grouped into several varieties including Western, Eastern and Kyushu dialects. 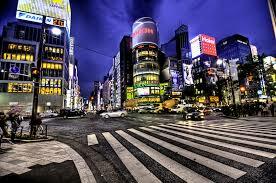 The standard form of the language is based from Tokyo’s dialect known as hyojungo. Ever since 1886, this standard has been taught in schools. Because of this, the distinctions among several Japapnese dialects are slowly disappearing. The usual order of Japanese sentences us subject-object-verb. Sometimes, subject pronouns are even removed. There are only two types of verb tenses in the language. These includes the past and present verb tenses. Unlike European languages, Japanese doesn’t use gender and number for nouns, and articles don’t accompany any noun. Instead, particles are used to indicate the functions of nouns. Here are etiquette rules you need to know if you are doing business with a Japanese company and hoping to win a client or two. Silence is given more value than a lot of talking. It is seen to be linked with credibility. Not only that but it shows emotional self-control and wisdom. A formal and introverted approach to begin a business relationship is better received in the country. Compared to other countries, group solidarity is given more value than individualism. This is because of the country’s group-oriented culture. Team concept is very important in Japan so individual praise or recognition is rarely done. When given a business card, you should accept the card with both hands, read it and then put it in your business card holder. If you are seated, you have to place the card on the table all throughout your meeting before puting it in your holder. These are done to show respect for the other person. Age is very much revered in Japan so the older you are, the higher your seniority. Always greet the oldest person before others. When persuading, a more gentle presentation is better than a confrontational approach. Don’t speed up the process of decision making or you might come out as disrespectful. Build enough trust and avoid being impatient. The Japanese are very reserved and private. As such, try to avoid asking a lot of personal questions or you might come of as rude or pushy.